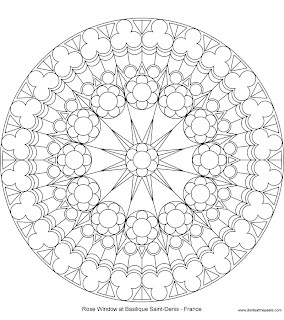 This is the North transcept rose window at St. Denis. The photo is from Wikimedia Commons. One of the things I love about this window is the use of the zodiac in the 5 circle. Here's my version to color. Click on the images for larger versions. There is another window from St. Denis to color here. 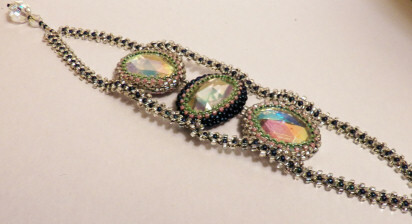 Recently I was sent some gorgeous vintage glass and a couple beautiful barrettes. I used some of the glass to make this bracelet. You can find some details about how it was made here. The barrette is made out of vegetable tan leather, and the wonderful artist who sent it does have an Etsy store, where you can get lots of different hair toys and leather masks- Beadmask. 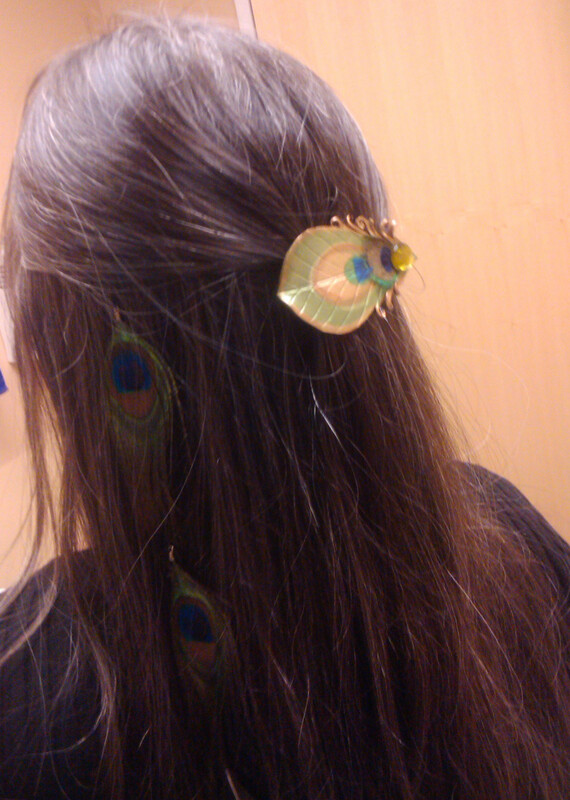 As far as the feather fall goes, that was made by a friend who I'll be setting up an Etsy shop for soon. Another extraordinary beader and artist named Teri Packel. 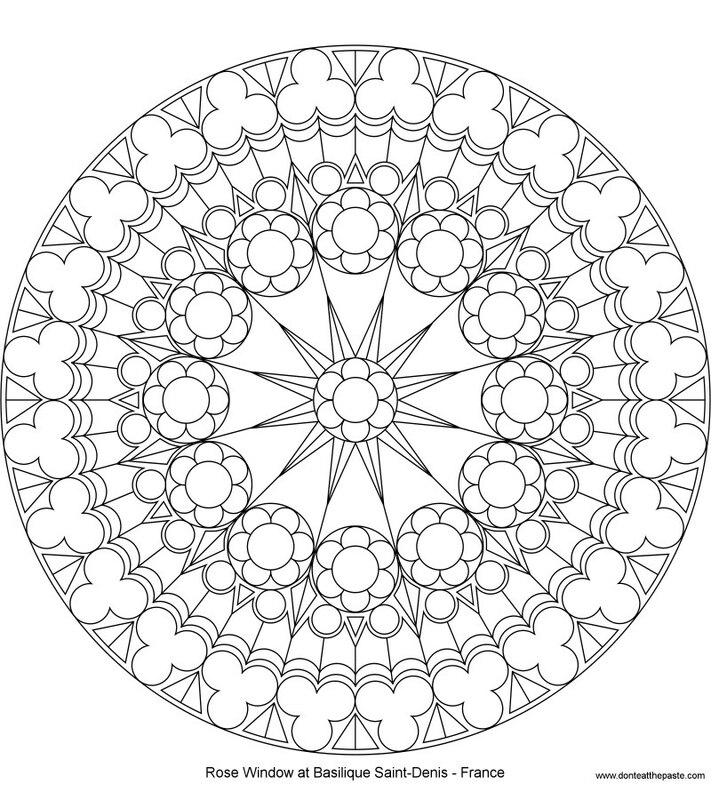 Thanks for the colouring in page featuring the Rose window. I am using it to keep the kids entertained on our holiday. Jill, Australia. This window design is beautiful! I am going to enjoy coloring this one. Thanks. Shala!